Experience more Japanese culture! The SENTO! There are about 2,600 public baths, called “SENTO”, mainly in the larger cities in Japan. The SENTO has long been important to community and communications in Japan. People used to gather at the well. People gathered at the bath. The bath is a central part of traditional Japanese culture. Now most houses have a bath. Less people travel to the public bath every day. Still people regularly seek out the luxury and community of a large bath. It has also become popular to seek out different SENTO as a visitor, or on a walking tour. Each bath is different, depending upon the part of town, and the individual taste of the owner. Designs and decorations offer variety. Discovering the individual character of a bathhouse is one of the many pleasures of visiting the SENTO. 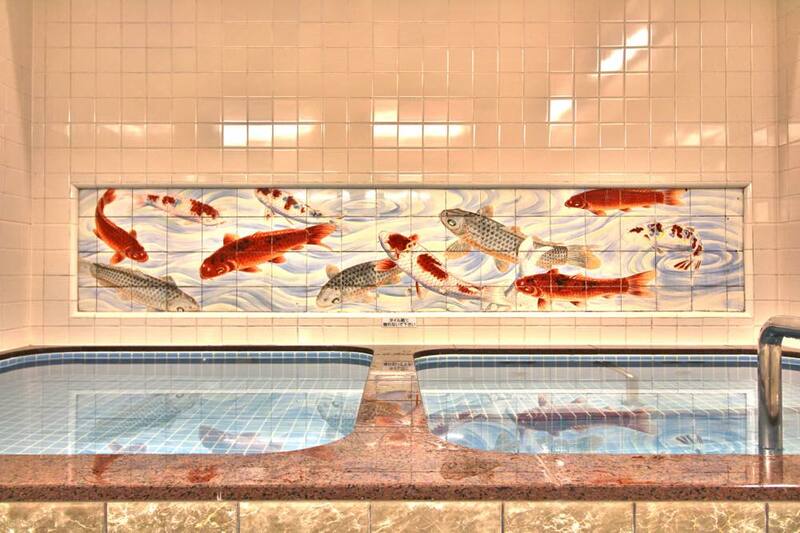 The SENTO offers an inside view of traditional culture. There is also increasing evidence that the SENTO promotes health. These hot baths are found to increase a substance called, “heat shock protein,” in the body. These proteins repair the body on a cellular level to help recover from fatigue, improve the immune and cardiovascular systems and promote healthy skin. Welcome visitors to Japan, please also visit the SENTO.